Hillenbrand’s corporate culture is built on five Core Values, the first being individual worth and integrity. It is crucial to the success of our company that associates align themselves with these Core Values outlined in the Hillenbrand Operating Model. Hillenbrand is a responsible corporate citizen committed to the health and safety of people and involvement in local communities. Community engagement has been part of the corporate mindset since the early days of Hillenbrand Industries. At Hillenbrand, we strive to make our community involvement consist of more than just writing a check. We want to be engaged. We want to understand what our community does, who they serve and how they bring value. At Hillenbrand, we make decisions based on our five Core Values: individual worth & integrity, excellence in execution, spirit of continuous learning & improvement, courage and customer focus & partnership. Decisions on where and when we engage are no different. When we engage with an organization, we want to ensure the partnership aligns with our values, cultivates growth within the organization and drives an increased value in the community. 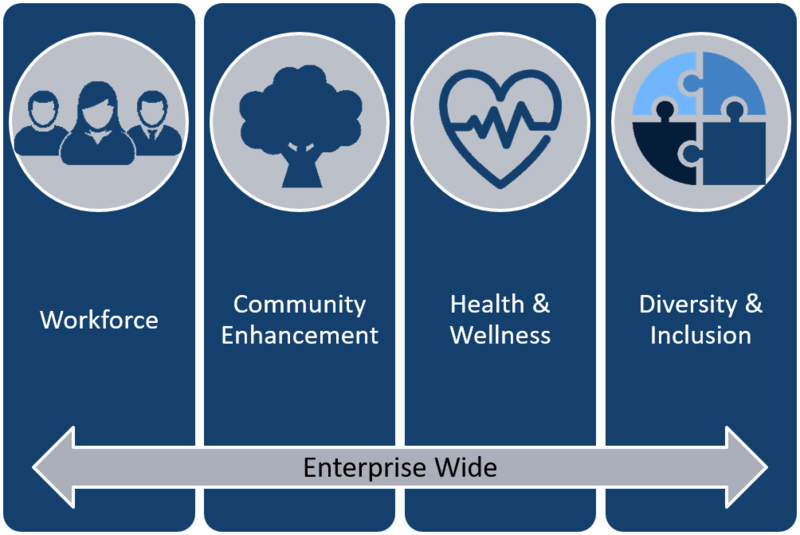 Therefore, we focus our engagement efforts on the following areas: Workforce, Community Enhancement, Health & Wellness, and Diversity & Inclusion. If you are interested in partnering with us on this initiative in the future, please refer to the donation request form here.